I have bred chihuahuas now for 20 years. My partner and I raise them in our home in San Francisco. Our goal is to bring into the world a loving companion for those who desire a cuddly little one in their lives. 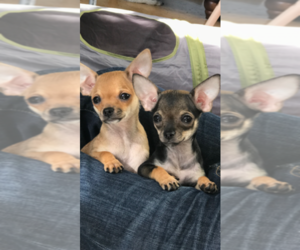 We potty train, vaccinate, de-worm and love our chihuahuas. We interiview perspective companions thoroughly. Call or email us to schedule a visit!